Sony Entertainment’s Santa Monica Studios announced on Tuesday morning that the highly anticipated game God of War will launch on Apr. 20. After years of development, the eighth installment in the beloved series will be a reboot of sorts with the introduction of Norse mythology and main protagonist Kratos’s son Atreus. PlayStation already gave fans a taste of the game at last year’s E3 with a gameplay trailer. 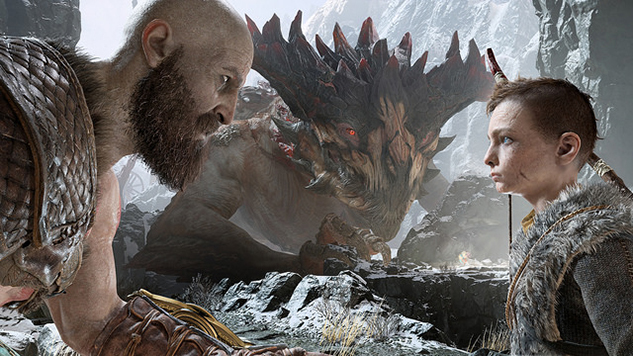 Following that trailer, the company released a new story trailer showcasing the journey father and son must endure after the passing of Atreus’s mother. Along with the new trailer, Sony announced special editions, along with preorder offers. The pricing for each edition differs depending on the territory, with the Collector’s Edition costing $129.99 in the US and $169.99 in Canada. This is followed by the Stone Mason Edition at $149.99 U.S. / $199.99 CAN and the Digital Deluxe Edition being $69.99 U.S. / $89.99 CAN. With so much to offer, God of War fans’ patience is going to be greatly rewarded come Apr. 20 when the game arrives physically and digitally on PS4. Watch the game’s new trailer and see preorder details below.